I spent several hours today wrestling with piles of paper and the dismal realisation that my younger self was apparently not only thinner and richer than me, but also better organised and nothing like as messy. Oh well. That's entropy for you I suppose. Entropy, and spending all the money on vet bills. But! I have a filing cabinet now, so I am hoping that will go some way towards resetting the 'being organised' drift towards giving up and just living in a sort of nest inside one enormous drift of paper and cat hair. Shoved underneath a pile of other things, I found a few much older items: surviving souvenirs of a walking holiday that my grandparents took to Holland and Germany when they were thin and young, in the 1930's. 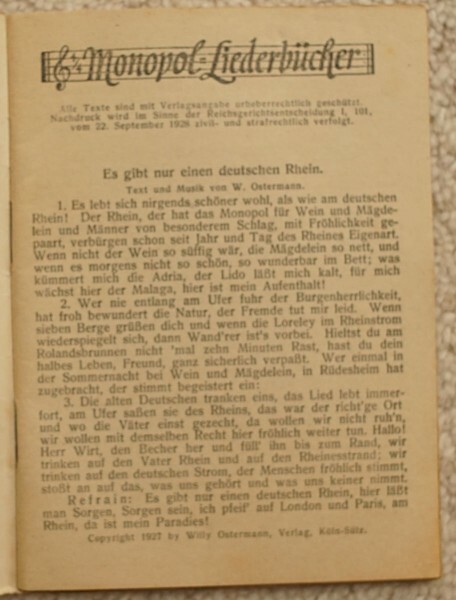 They had an English-language guidebook. 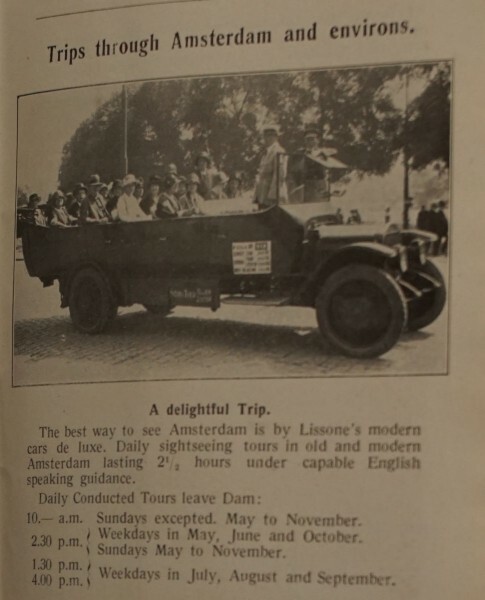 I like this picture of the delightful Trip through Amsterdam and environs. 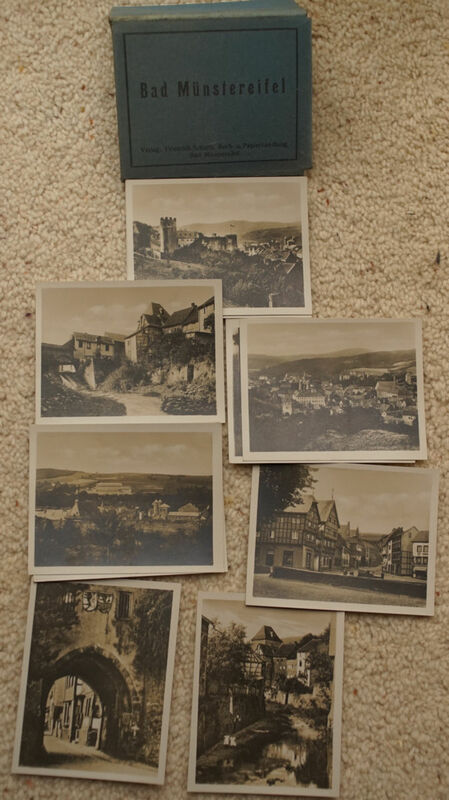 And then there are a couple of packets of tiny photos from Gemünd, in Eifel, in what was then the demilitarised Rhineland. I'm not sure what year they visited: there are no dates on any of these, but I'm guessing before the remilitarisation in 1936? Not sure how much impact the political situation had on wandering English tourists. 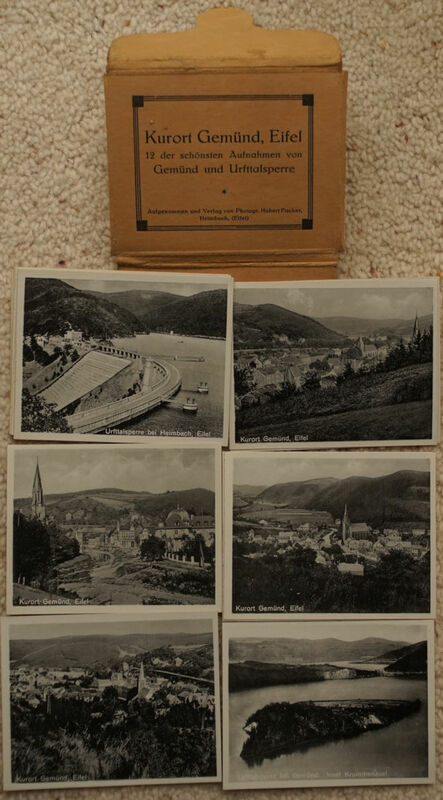 And here are a few more from Bad Münstereifel. 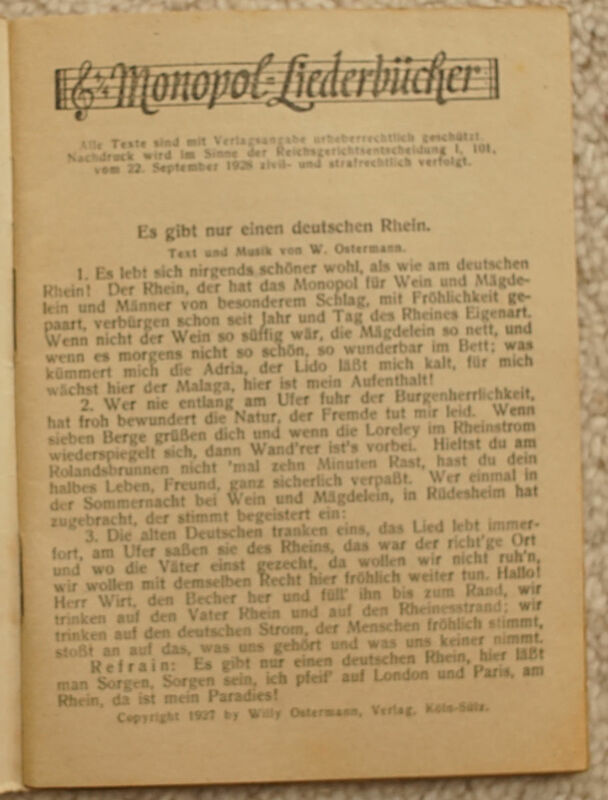 And here is a tiny little book of Rhine-travelling songs. The songs do have dates, in that they were all copyrighted in the 1920's. Wow! I love that kind of family memorabilia--the older the better. This is a great little collection that reflects a slice of life from another era. What a cool and charming find! I, too, dwell amid paper and cat hair. I suppose there's worse things. I feel happier if there is some sort of limit on the piles of paper. Makes it easier to hoover the cat hair at least periodically! We cleared some things out before we moved here, but we still have a lot of historic paper - I've been trying to photograph as much of it as possible, because I know I'll never have space to keep it. Oh, yes, absolutely. I must admit I was very glad Dad was prepared to put out 30 years of bank statements when we moved here. That's a very nationalistic song--it has somewhat worrying undertones, under the circumstances. At least it's mainly nationalistic in praise of carousal opportunities. Refrain: There is only one German Rhine. Here one lets go of all cares. I do not care about London and Paris; on the Rhine, that's where my paradise is. Well, a question of perspective, I suppose? 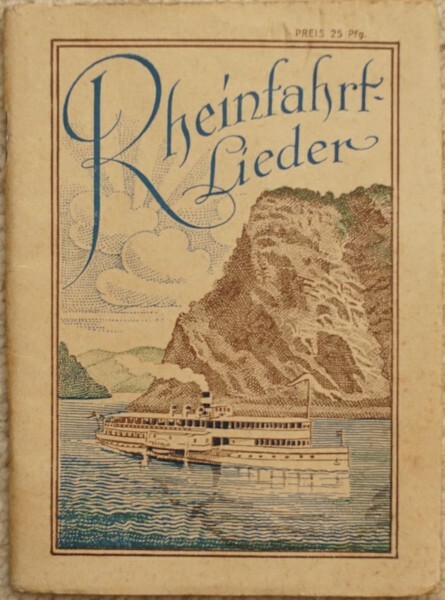 On the one hand, nursing the poetic illusion that there's something quintessentially and intrinsically German about the Rhine would not in itself make anyone militaristic, let alone a Nazi. On the other hand, Hitler is known to have exploited smouldering resentments about the Rhine situation for his purposes.